My maternal family all hail from the south of Italy, most of them from the small town of Bitetto, outside of Bari. I could be writing about il Cattedrale di San Michele Arcangelo, the church in town which undoubtedly played a role in the faith lives of my ancestors. (It occurs to me at this writing that the frequency with which the name Arcangela was used in my grandmother's family might bear testament to this.) But my main association with the cathedral in Bitetto is that when I visited the town, in college, I was met by my second cousin once removed and his young son. My Italian was better then than it is now, but I still didn't understand anything that was spoken in dialect, and didn't catch much of what was spoken in Italian. Still, I understood as young Donato, in the back seat, told his father that they should show me the cathedral - il primo cattedrale di Bitetto! 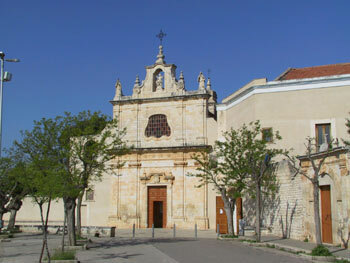 ("The number one cathedral in Bitetto!") Only moments into my very first visit to the town, even I got the joke: there's only one cathedral in Bitetto. But although I can speak to 10-year-olds making jokes that even barely proficient Americans can understand, I can't speak, in any meaningful way, to the importance of il primo cattedrale di Bitetto! 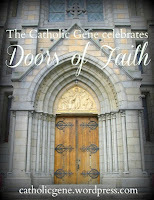 in the faith lives of my ancestors. What I can speak to is the continuing importance of a different church, Il Santuario del Beato Giacomo di Bitetto, in the lives of people who trace their roots to Bitetto. Il Beato Giacomo translates to "Blessed James" in English, but although he's occasionally thus named on English-language websites, even in America, no one refers to him in English. He's always Il Beato Giacomo, or just Il Beato (which just means "the blessed," but which somehow never gets confused with, say, Bl. 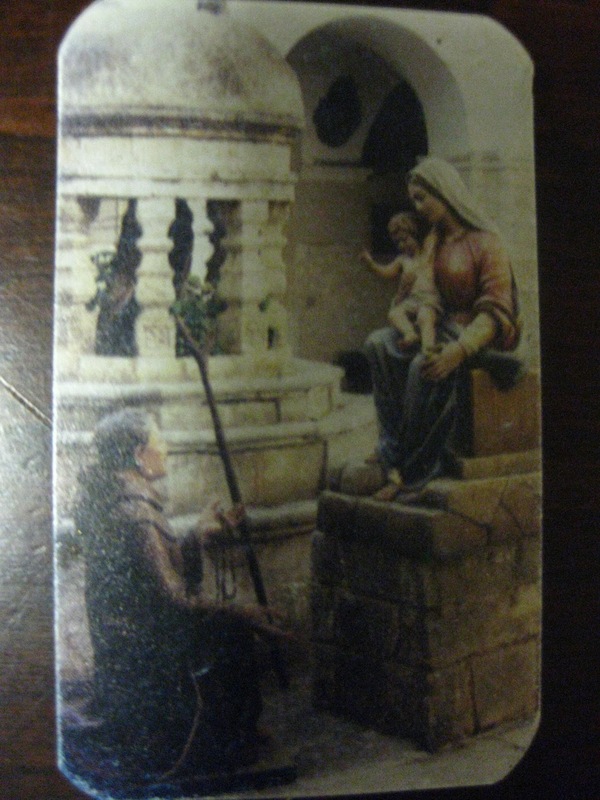 Kateri Tekakwitha, or Bl. Benedict XI). Il Beato Giacomo is still important to people from Bari, both those in Italy and those worldwide, and he's particularly important to people from Bitetto. When I visited Bitetto, I did go to il cattedrale in town, but that was just for a quick look around. The big event was visiting il Beato. (Donato wanted to come, but couldn't because he had school. How often do you encounter a church that's so important that even ten-year-old boys want to visit?) I was able to view his incorrupt body. I met with the priest. 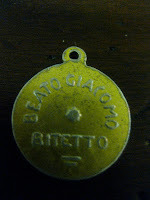 My grandmother had sent me with instructions to make a donation on behalf of the Gatto and Lanzillotto families. It was 2007. Ninety-eight years after my earliest immigrant ancestor had left Bitetto, we were still donating to express devotion to il Beato Giacomo. 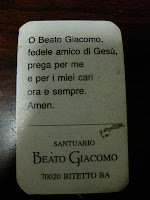 O Beato Giacomo, faithful friend of Jesus, pray for me and for my loved ones now and always. Amen. My family is merely an illustration of the zeal with which people from around Bari still venerate il Beato Giacomo. The United Pugliesi Federation in New York has an annual Mass for him around the time of his feast day. More than that, in doing the research for this post, I discovered that in December 2009, Pope Benedict XVI advanced the cause of canonization of il Beato Giacomo by promulgating a decree of heroic virtues. 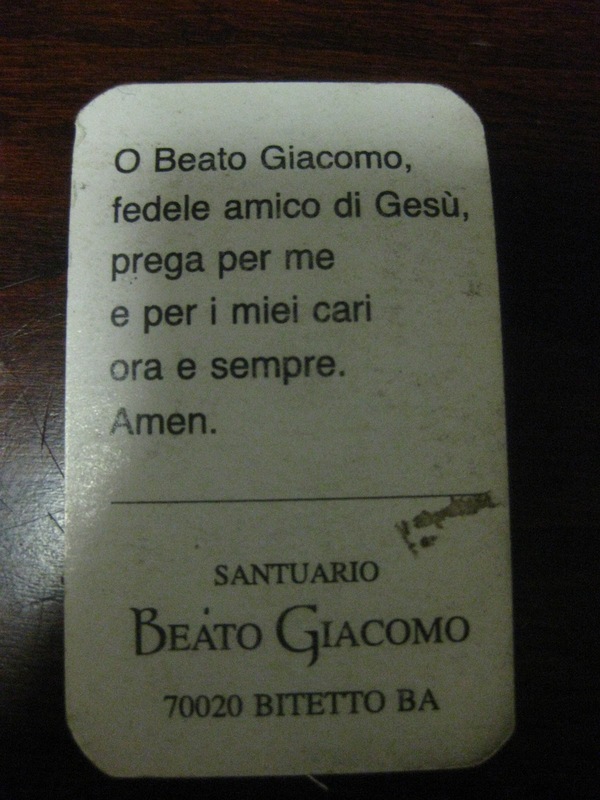 Beato Giacomo, ora pro nobis. I absolutely loved reading about your connection to Il Santuario del Beato Giacomo di Bitetto and your family's beloved Il Beato Giacomo. It is beautiful to see how your family is carrying on this devotion to this special man of God so many years after his death and after your family's emigration from Italy. Thanks very much for sharing your story within Doors of Faith at The Catholic Gene.